Holy Thursday marks the beginning of the sacred Easter Triduum, which concludes with the celebration of Easter Vigil Mass. On this day, we remember the Last Supper, during which "Jesus, loving those who were his own in the world even to the end, offered his Body and Blood to the Father under the appearance of bread and wine, gave them to the apostles to eat and drink, then enjoined the apostles and their successors in the priesthood to offer them in turn. This Mass is, first of all, the memorial of the institution of the Eucharist, that is, of the Memorial of the Lord's Passover, by which under sacramental signs he perpetuated among us the sacrifice of the New Law. 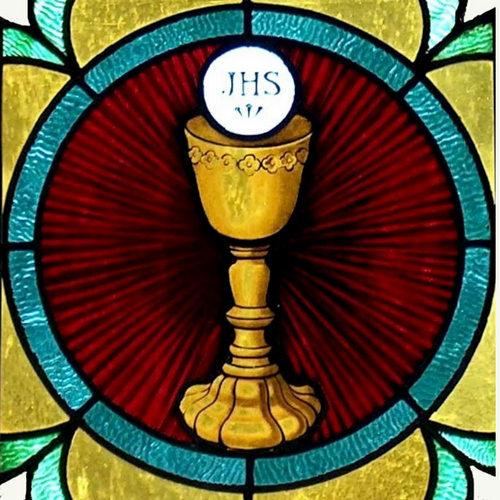 The Mass of the Lord's Supper is also the memorial of the institution of the priesthood, by which Christ's mission and sacrifice are perpetuated in the world" (Ceremonial of Bishops, 297). St. Mark Church, 13 Allen Farm Road - Mass of Our Lord's Supper at 7 p.m.
Sacred Heart Church, 8 Sacred Heart Place - Mass of Our Lord's Supper at 6 p.m.
St. Augustine Church, 75 Northern Avenue - Mass of Our Lord's Super at 7 p.m.
St. John Church, 217 York Street - Mass of Our Lord's Supper at 6 p.m.
Holy Redeemer Church, 56 Mount Desert Street - Liturgy of the Hours at 8 a.m.
St. Benedict Church, 1063 Benedicta Road - Mass of Our Lord's Supper at 6:30 p.m.
St. Joseph Church, 178 Elm Street - Mass of Our Lord's Supper at 7 p.m. followed by a Tenebrae Service and adoration, beginning at 9:30 p.m. in St. Anne Chapel. St. Teresa Church, 425 South Main Street - Mass of Our Lord's Supper at 6 p.m.
St. Charles Borromeo Church, 132 McKeen Street - Mass of Our Lord's Supper at 7 p.m.
Immaculate Conception Church, 31 Calais Avenue - Mass of Our Lord's Supper at 7 p.m.
Our Lady of Good Hope Church, 7 Union Street - Mass of Our Lord's Supper at 6:30 p.m.
St. Anne Church, 64 Free Street - Mass of Our Lord's Supper at 7 p.m.
St. Joseph Church, 231 Main Street - Mass of Our Lord's Supper at 6:30 p.m.
St. Louis Church, 26 East Main Street - Mass of Our Lord's Supper at 7 p.m.
St. Luce Church, 441 U.S. Route One - Mass of Our Lord's Supper at 6 p.m.
St. Elizabeth Ann Seton Church, 857 Main Street - Mass of Our Lord's Supper at 6 p.m.
St. Joseph Church, 110 School Street - Mass of Our Lord's Supper at 7 p.m.
St. Anne Church, 299 Main Street - Mass of Our Lord's Supper at 7 p.m.
St. Gregory Church, 24 North Raymond Road - Mass of Our Lord's Supper at 6 p.m.
Holy Family Church, 145 Pritham Avenue - Mass of Our Lord's Supper at 7 p.m.
St. Matthew Church, 70 Western Avenue - Mass of Our Lord's Supper at 6 p.m.
St. Mary of the Visitation Church, 112 Military Street - Mass of Our Lord's Supper at 6 p.m.
St. Leo the Great Church, 16 River Road - Mass of Our Lord's Supper at 6 p.m.
St. Faustina Church, 370 Main Street - Mass of Our Lord's Supper at 4 p.m.
St. Rose of Lima Church, 1 Church Street - Mass of Our Lord's Supper at 6 p.m., followed by adoration until 9 p.m.
St. Raphael Church, 6 Whipple Road - Mass of Our Lord's Supper at 7 p.m.
Holy Family Church, 607 Sabattus Street - Mass of Our Lord's Supper at 7 p.m.
St. Matthew Church, 19 Dora Lane - Mass of Our Lord's Supper at 7 p.m.
St. Louis Church, 100 Main Street - Mass of Our Lord's Supper at 7 p.m.
Holy Name of Jesus Church, 8 Free Street - Mass of Our Lord's Supper at 7 p.m., followed by adoration until midnight. St. Thomas Aquinas Church, 337 St. Thomas Street - Mass of Our Lord's Supper at 6 p.m.
St. Patrick Church, 380 Academy Hill Road - Mass of Our Lord's Supper at 7 p.m.
St. Catherine of Sienna Church, 32 Paris Street - Mass of Our Lord's Supper at 6 p.m.
Holy Family Church, 429 Main Street - Mass of Our Lord's Supper at 7 p.m.
St. Agnes Church, 238 Detroit Street - Mass of Our Lord's Supper at 7 p.m.
Nativity of the Blessed Virgin Mary Church, 331 Main Street - Mass of Our Lord's Supper at 7 p.m.
St. Luke Church, 9 Lake Street - Mass of Our Lord's Supper at 6:30 p.m.
St. Bernard Church, 150 Broadway - Mass of Our Lord's Supper at 6:30 p.m.
St. Athanasius & St. John Church, 126 Maine Avenue - Mass of Our Lord's Supper at 6 p.m.
Our Lady of the Rosary Church, 131 High Street - Mass of Our Lord's Supper at 7 p.m., followed by adoration until 10 p.m.
Notre Dame Church, 10 Payne Street - Mass of Our Lord's Supper at 7 p.m.
St. Maximilian Kolbe Church, 150 Black Point Road, Scarborough - Mass of Our Lord's Supper at 7 p.m.
Notre Dame de Lourdes Church, 273 Water Street - Mass of Our Lord's Supper at 6:30 p.m.
Our Lady of the Angels Church, 160 Agamenticus Road - Mass of Our Lord's Supper at 7 p.m.
St. Bruno - St. Remi Church, 174 Main Street - Mass of Our Lord's Supper at 6 p.m.
Notre Dame Church, 116 Silver Street - Mass of Our Lord's Supper at 6 p.m.
St. Mary Church, 236 Eldridge Road - Mass of Our Lord's Supper at 7 p.m.
Our Lady of Perpetual Church, 919 Roosevelt Trail - Mass of Our Lord's Supper at 7 p.m.
St. Francis Xavier Church, 130 U.S. Route 133 - Mass of Our Lord's Supper at 7 p.m.
St. Christopher Church, 4 Barrell Lane - Mass of Our Lord's Supper at 7 p.m.